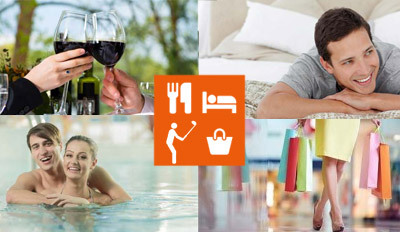 Como is worldwide famous as a renowned tourist destination of Lake Como. 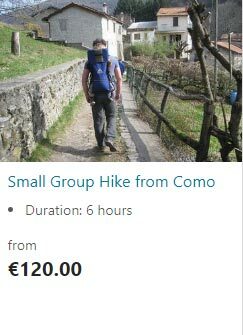 It is located in Lombardy on the western branch of Lario, on the left side of the inverted Y, almost symmetrical to Lecco. 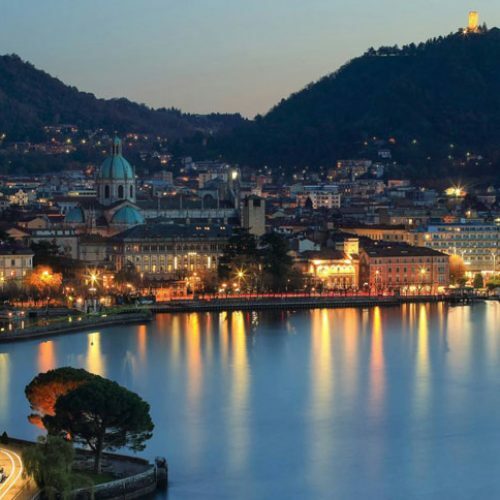 Como is an elegant and very dynamic town all year round. 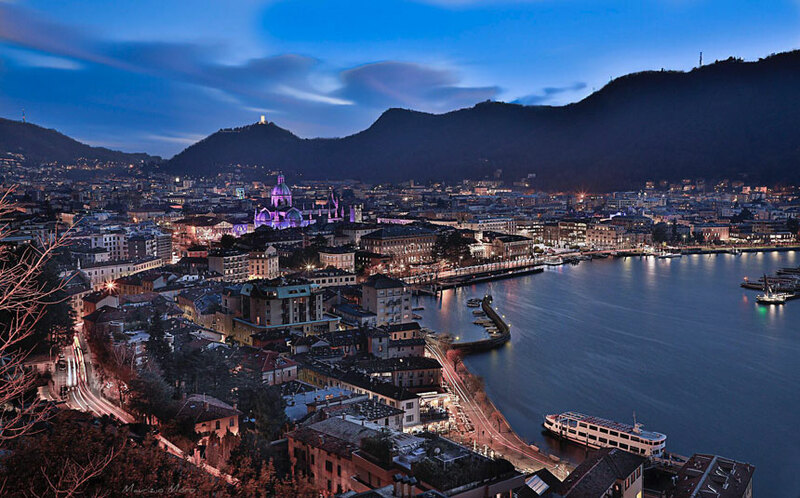 Do you know that Como has its roots in the first century BC during then Roman times? 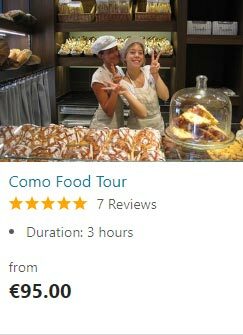 Visit the museums of Como: Historical Museum, Archaeological Museum, Volta Temple, Pinacoteca and the access door to the city, i.e. Porta Romana. 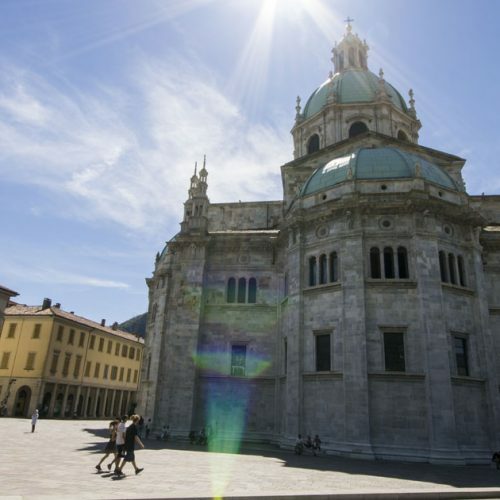 Visitare i musei di Como: Museo Storico, Museo Archeologico, Tempio Voltiano, Pinacoteca e la Porta Romana. 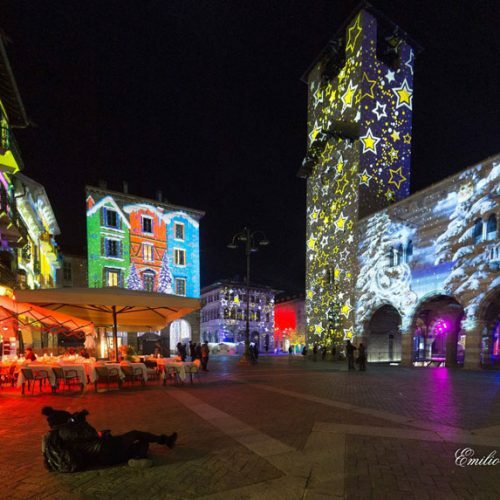 From the settlement of the Orobi, an ancient population of probable Ligurian origin, passing through the Insubri Gauls in the 5th century BC who founded a fortified oppidum (fortified city) to the Romans who in 196 BC thanks to the consul Marco Claudio Marcello subjugated Como. Tito Livio talks about this important operation and in Rome still there is a commemorative plaque that recites De Comensibus et Insubribus (on the Comensi and on Insubri) to certify its glory. In this way the Comum Oppidum was founded, which was later destroyed by a Raetii raid, descended from the Alps in the first decades of the first century BC. In 89 BC the oppidum was rebuilt by the consul Pompeo Strabone and thirty years later, in 59 BC the emperor Julius Caesar added five thousand colonists, among whom there were five hundred Greeks. 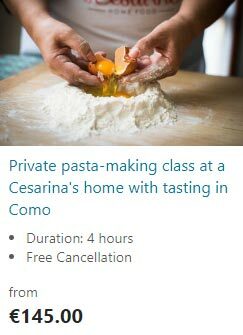 Como thus became Novum Comum. 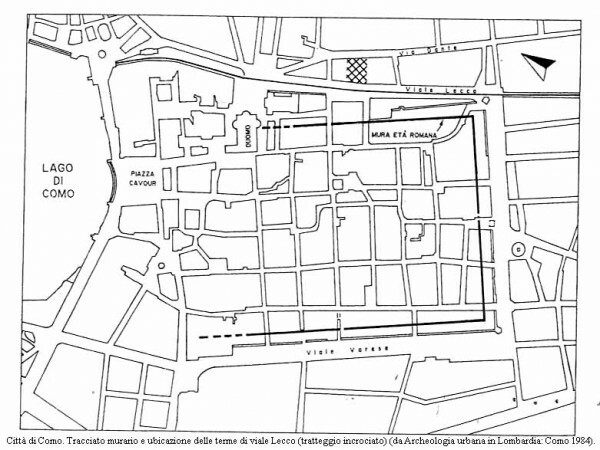 At this time scholars trace the urban layout of Como city, that is the construction of the city walls almost 10 meters high and 2 meters thick, which at that time developed on 4 sides with a path of little interior compared to the current walls of medieval origin . The crenellated walls were alternated with towers and on the four sides there were four doors to access to the city. the forum, that is the meeting point between cardo and decuman, does not find archaeological findings and the positions of the scholars are different on the matter. 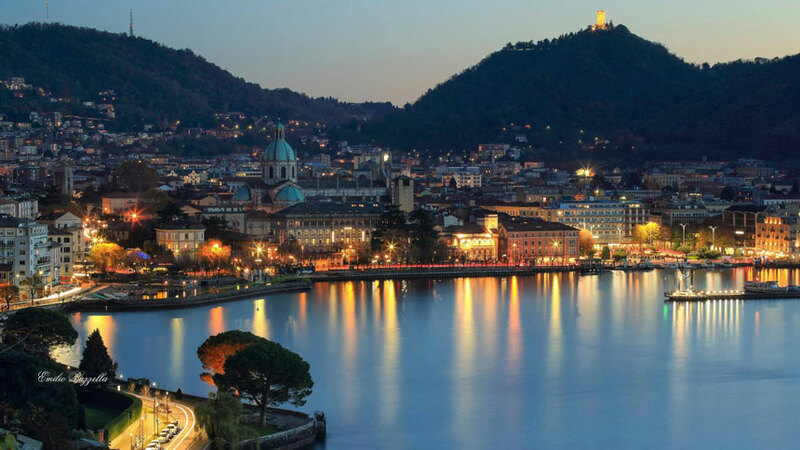 Como boasts a long tradition in silk production, which has its origins in the fifteenth century, introduced in Europe from the Far East. Ludovico Sforza known as “il Moro”, Duke of Milan, gave the impulse to the cultivation of mulberry trees, feed for silkworms. An important character who made Milan a great Milan. He also commissioned Leonardo da Vinci The Last Supper, now Unesco heritage. This is how the cultivation of the silkworms, which made Como the undisputed world leader in the silk fabric. 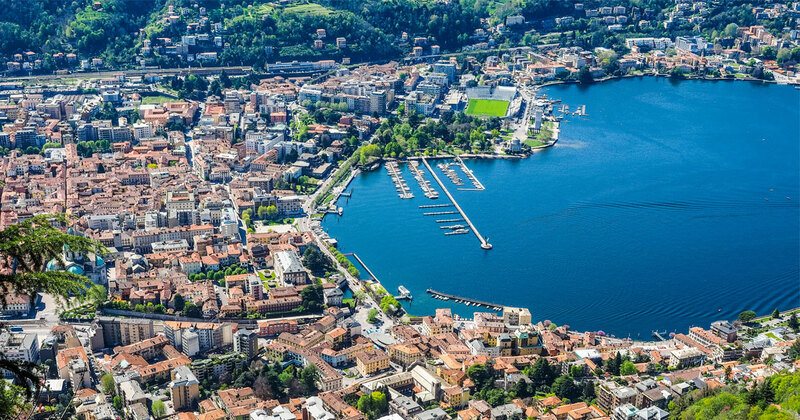 We remind you that in this area, including Lecco as well, the cultivation and processing of silk employed the majority of people. 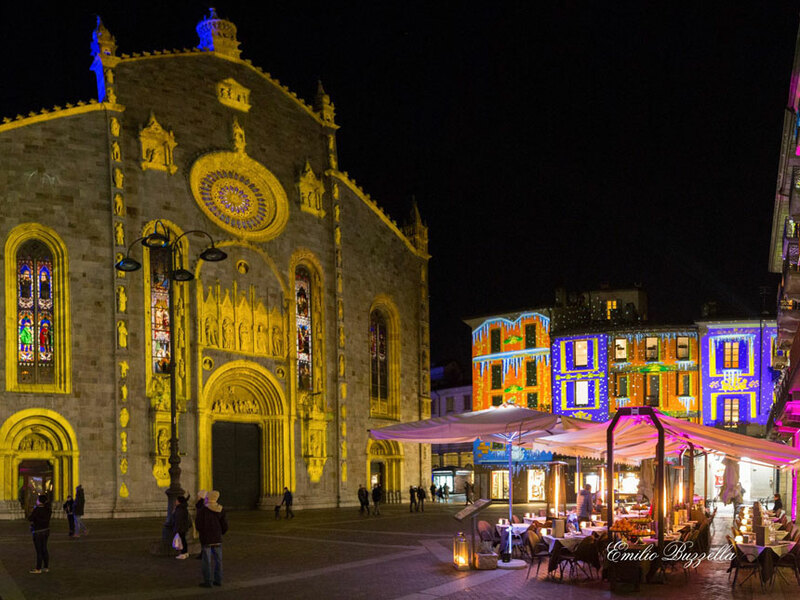 Twisters, spinning mills are located here and there and nowadays they are visible in the silk museums: the Silk Museum in Como, the Abegg Museum in Garlate, the Monti Museum in Abbadia Lariana. 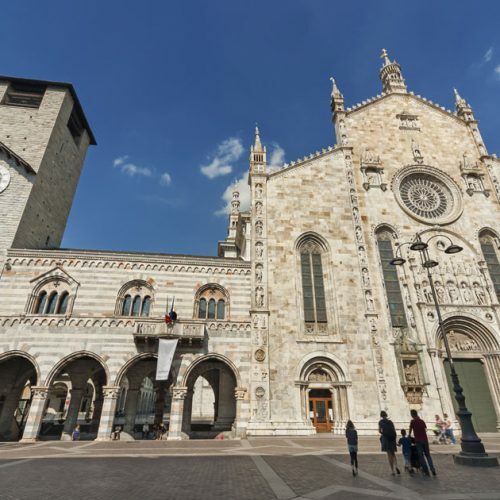 It is dedicated to the Blessed Virgin Assunta and is located in Piazza Duomo next to Palazzo Broletto. 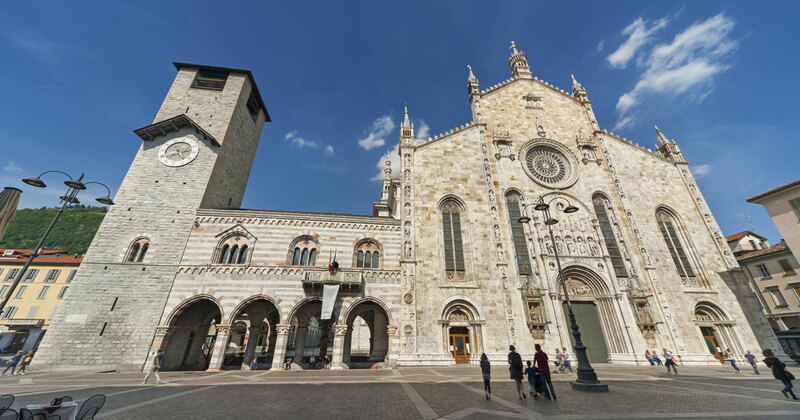 This religious building has a peculiarity: in terms of size it is the third church in Lombardy, after the majestic Duomo of Milan and the elegant Certosa of Pavia. Its construction began in 1396 and continued in different phases for three centuries and a half: the dome was completed in 1744. Inside it houses precious tapestries, sculptures, stuccos, paintings and organs. 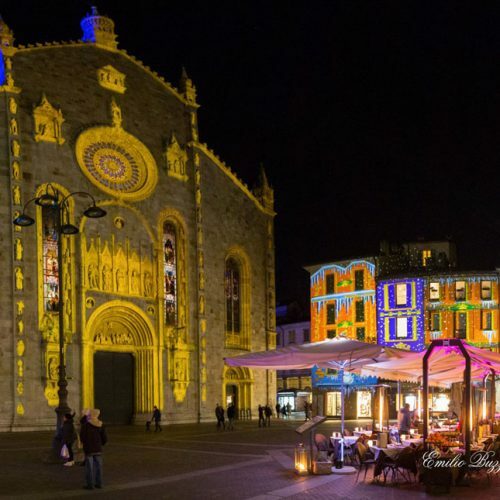 It is located next to the Cathedral and represents the symbol of municipal institutions in a strategic position between the Cathedral and the Bishop’s Palace. 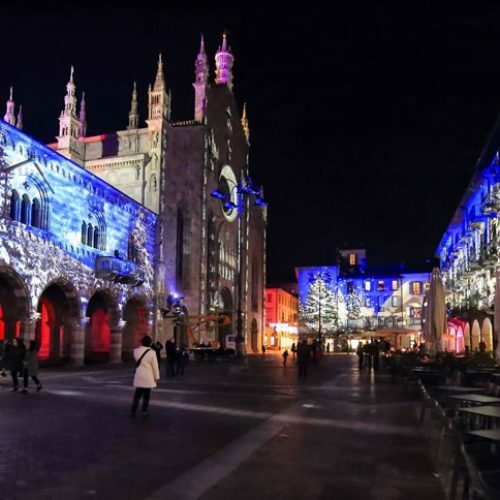 Built in the twelfth century, the building has a rectangular plan, developed on two floors with a tower that occupies the northern head. 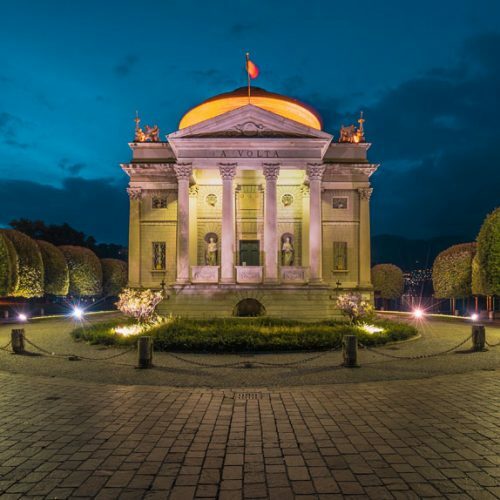 It is part of the municipal heritage and houses an exhibition space, a congress hall. 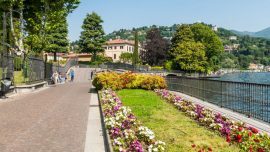 Alessandro Volta, the inventor of the pile, owes his birthplace to Como and his city, on the centenary of his death, 1927, dedicated to him an imposing monument inaugurated the following year. 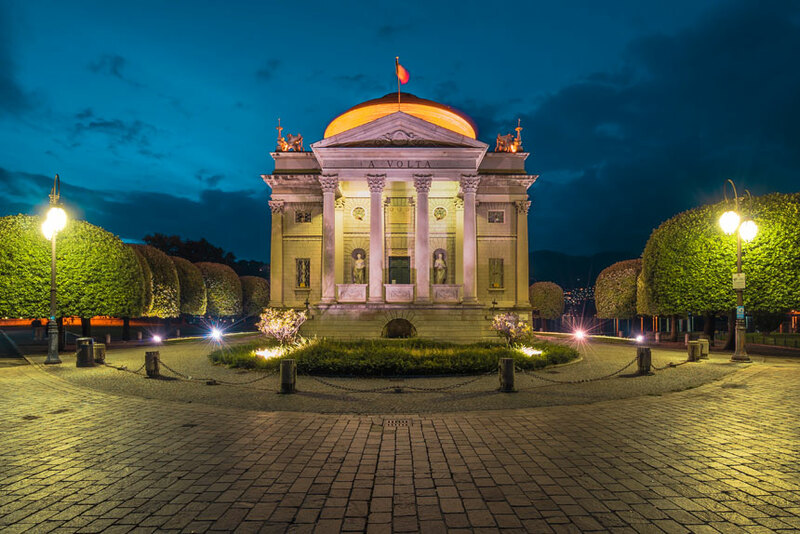 The temple houses a museum, where you may admire not only the discoveries and inventions of the scientist, designed devices and instruments used, but also portraits and sculptures as well as medals, personal objects and books. 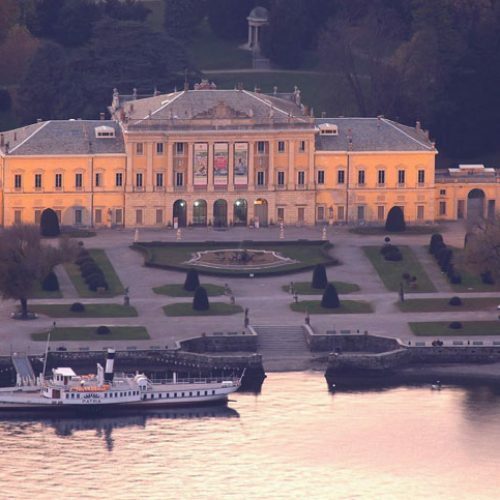 Villa Olmo is one of the most impressive villas of Lake Como with its neoclassical style. 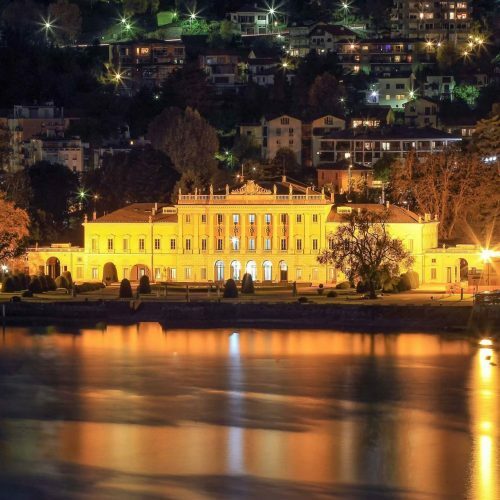 It is located at the north-western end of Como, at the end of the Gelpi lake promenade, also known as the walk on the shore of Como villas. 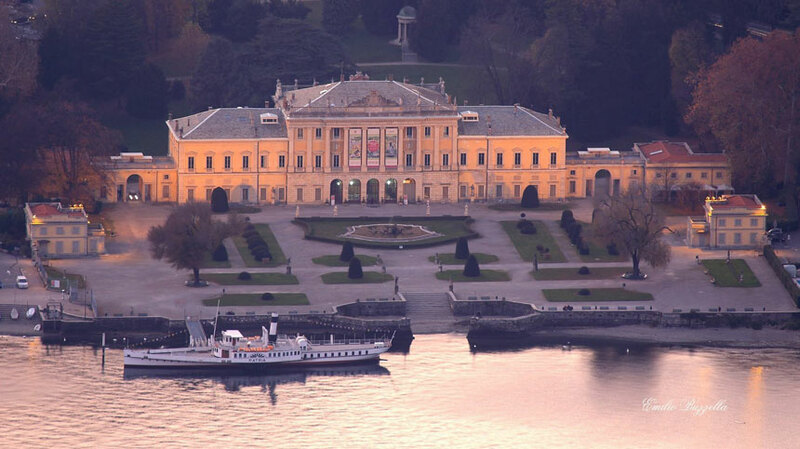 The park of Villa Olmo is public, while the Villa is a prestigious venue for exhibitions, events and conferences. 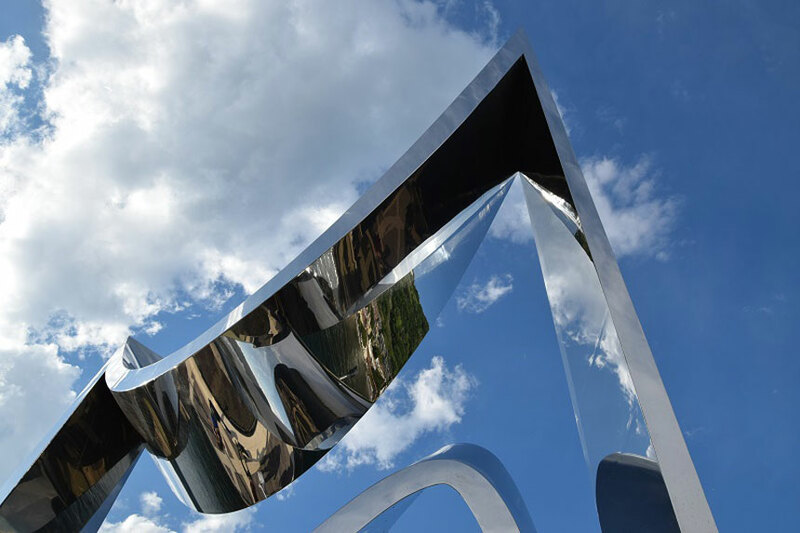 We can see this great sculpture, dedicated to Alessandro Volta, at the center of Lake Como basin in front of Piazza Cavour. 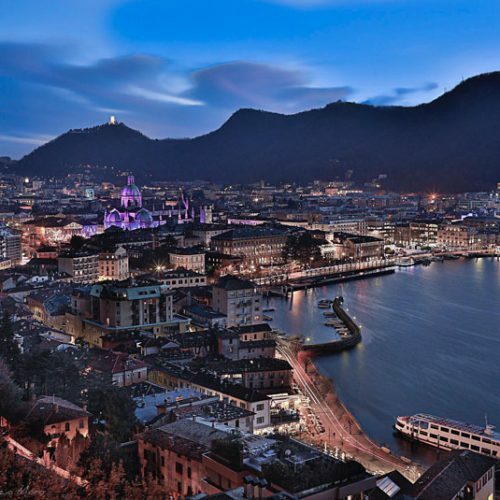 Designed by the archistar Daniel Libeskind who donated it to Como saying – “The Life Electric is inspired by the electric tension between two poles of a battery, the great gift of Volta to humanity“-. 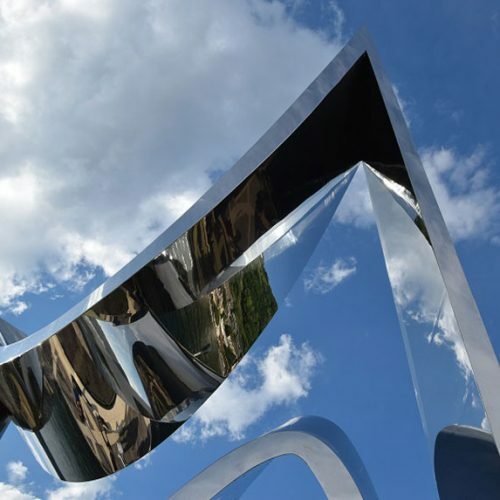 About 13.75 meters high (14.25 from the ground), it has the shape of two sinusoids that contrast and play each other between curves and movement. 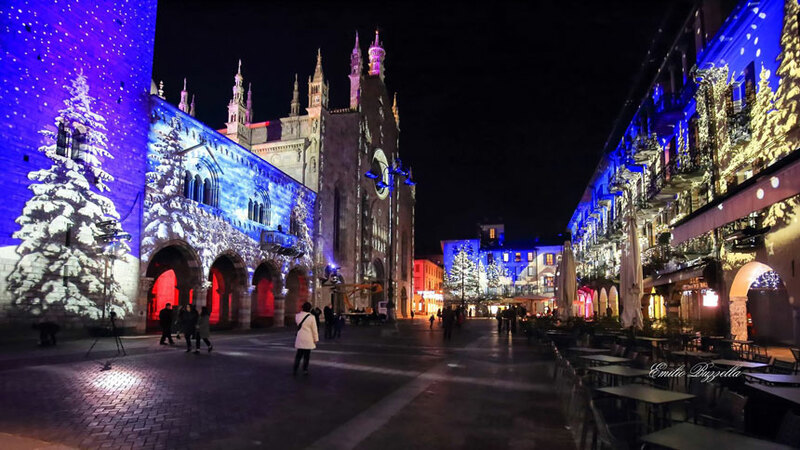 It peeps out in the homonymous square in the center of the walled city. It is supposed that this could be the ancient Roman forum. The Church was prior dedicated to Sant’Eufemia. 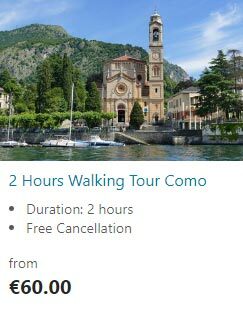 It is placed outside Como city walls and is really worth a visit. 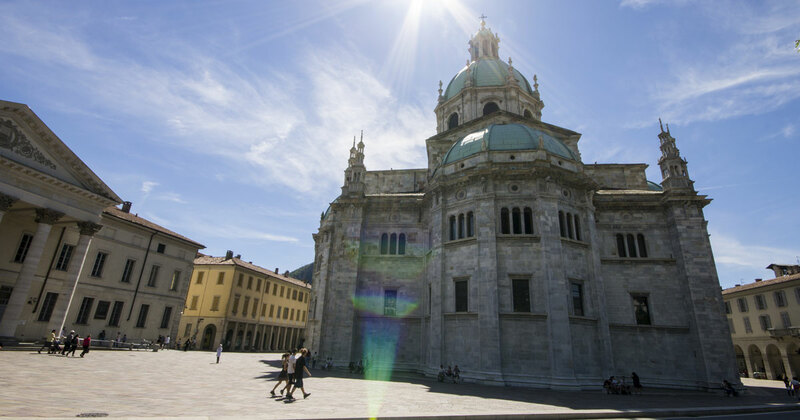 It is a particular religious building due to the fact that it has two twin bell towers and in the past its position was strategic, because it was located on the ancient Via Regina, which from Como skirted the western shore of Lake Como connecting Milan with the regions of northern Europe through the Alpine passes. 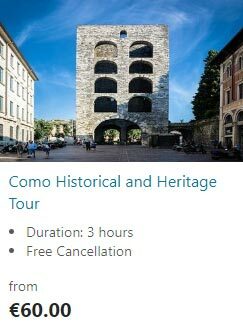 This is a medieval tower of 40 meters height, built in 1192 on behalf of the podestà Uberto de ‘Olevano, and is the gateway to the historic center of Como passing by Via Cantù. 1500 square meters of baths dating back to the second half of the 1st century AD; thanks to a work of recovery and restoration can be visited thanks to a path with walkways. 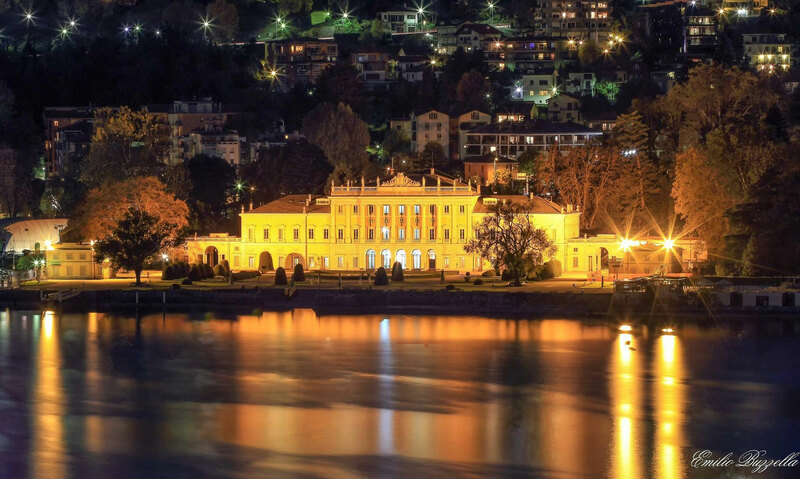 Another gift of Como in memory of his scientist Alessandro Volta. It was built as the Volta Temple in 1927, the centenary of death. 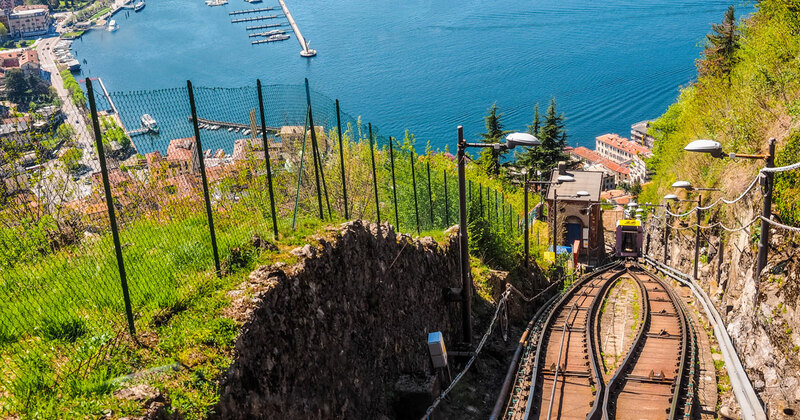 Octagonal tower, 29 meters high, the lighthouse of Brunate is still today one of the most visited lighthouses in the world. How to reach it? 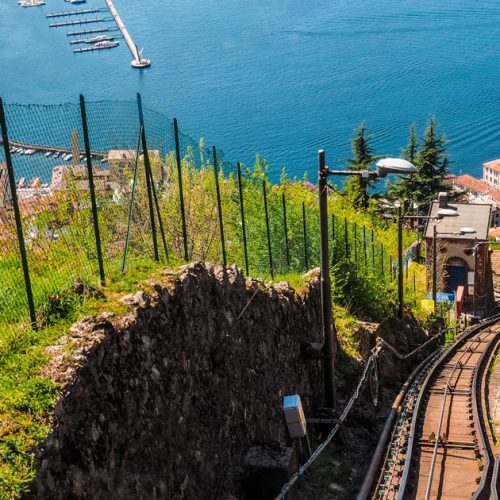 With the characteristic Como-Brunate funicular. 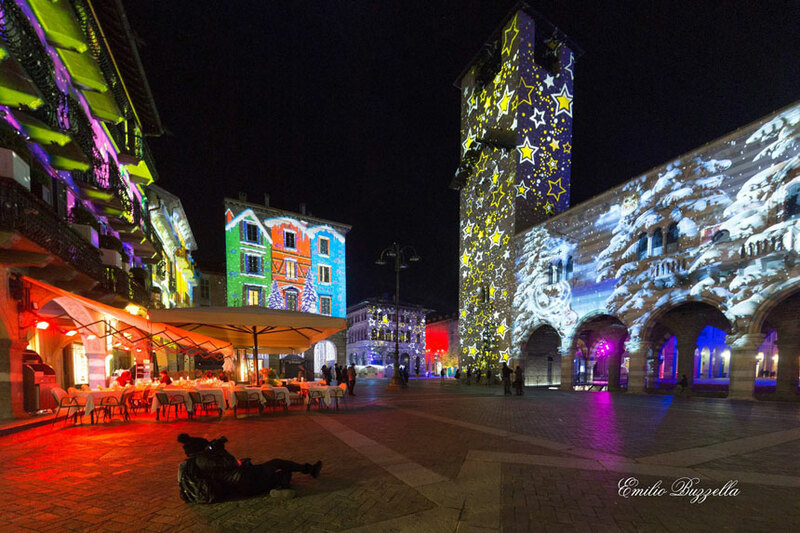 For sure during the Christmas period we recommend you Como: the City of Toys (Como: città dei balocchi).